All you need to create a perfect bun! The BalletBun Kit includes 6 ponytail elastics, 12 hair pins, 18 bobby pins, 2 hairnets, and instructions for nailing the perfect bun every time. Kit comes in the matching hair color of your choice and includes a convenient and reusable plastic storage bag with zipper! Great for dance classes, performances, fashion needs, and much more! Great product! I recommend it to all dancers and moms of dancers. As a ballet teacher and dancer, I frequently notice that parents usually don't know what pins to buy and or how to do a bun. I always encourage them to get the Balletbun kit. 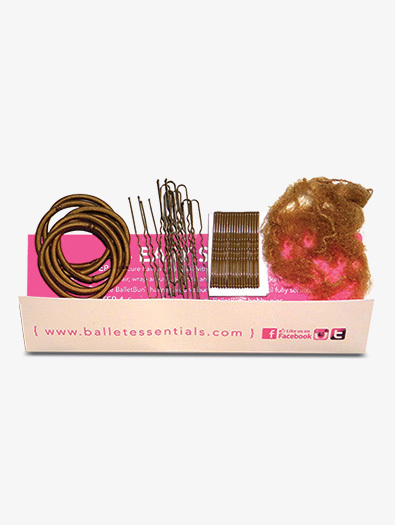 The Balletbun kit has all you need to create a perfect bun in coordinated colors and comes with instructions on how to do the bun. No need to look for matching pieces. Hair nets are durable and hair pins are strong enough to hold even the thickest hair when properly placed. The clear bag makes it easy to store and find pins. Makes great gifts for my students too. 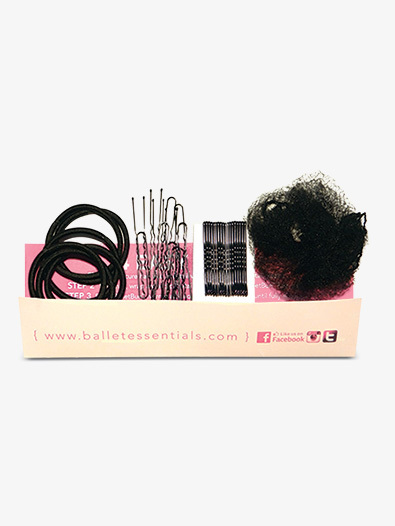 Good price for the selection and quantity of hair elastics, hair nets, bobby pins and bun pins. I always have a couple of kits in my bag! 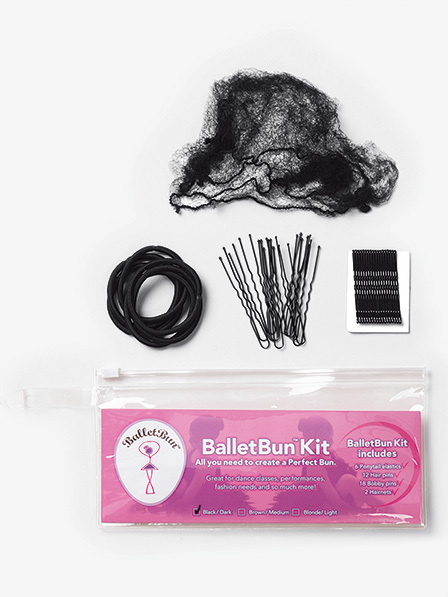 A dancer's must-have!